ArenaNet, developer of the acclaimed Guild Wars franchise, today released “The Dragon’s Reach: Part 1,” the newest update to the ongoing saga in the Living World of Guild Wars 2. The third episode in this second season of Living World sees the whole of Tyria now threatened by the Elder Dragon Mordremoth. Attacks by Mordremoth’s minions have stretched ever-farther, from the arid Maguuma wastes to the Timberline Falls and the heart of Kryta. In “The Dragon’s Reach: Part 1,” all of Tyria must come to understand this dire threat. 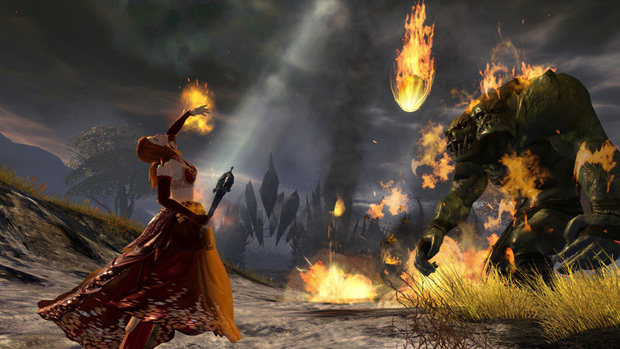 Players have taken on a central role as heroes who hold the fate of Tyria in their hands. They’re among those who have come to recognize the enormity of Mordremoth’s danger, and now they must work with new and old allies to unite the world’s races against it. Aeria Games will be bringing X-Legend Entertainment's imaginative new free-to-play fantasy MMORPG Twin Saga to North America and Europe. At its core, Battleborn is a true blue next generation hybrid. It’s half shooter, half third person MOBA. Fedeen Games today announced that Forsaken World Mobile, successor to the acclaimed PC series, will be released on July 23!